The highway between Tibbitt and Contwoyto in Canada is the most dangerous road in the world. It is over 500km long and consist of 85% frozen lakes. The ice can break at any time. 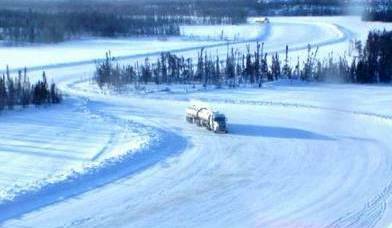 This road can only operate or come into effect during the coldest months of the year. When the ice becomes strong enough every year the road is made.